On October 6 in Tiraspol the press-conference of the deputy of the Supreme Council Dmitriy Soin was held. The event was devoted to the estimate of political and social situation in Transnistria and campaign of lie and calumny towards Dmitriy Soin and the IYC-PDP ‘Proriv!’. It is well known that the slanderous campaign is held by official mass-media, the Ministry of Secret Service and the pro-Smirnov public organization ‘People’s union’. The first vice-chairman of the party, close friend of the deputy Dmitriy Soin Alexandr Gorelovskiy was first to speak in the press-conference. He said Dmitriy Soin had been fighter for maintenance of the USSR and then for independence of Transnistria. From the very beginning of his activity he was persecuted by the government of Moldova – he was arrested, tortured but he succeeded to escape and continued his fight. Dmitriy Soin was the participant of battles, served in the Ministry of Secret Service. He was decorated with medals and orders, other awards. Now Dmitriy Soin is going in for politics, he is deputy of the Supreme Counsil and patriot of Transnistria and Russia. When Dmitriy Soin took the floor he keenly criticized the activity of the government of Transnistria as well as an unprecedented informational campaign in state mass-media of the republic. He characterized this campaign as a ‘persecution’ and ‘hysteria’ resembling the ‘Goebbel’s propaganda’ which is peculiar to totalitarian regimes. According to Dmitriy Soin because of the arrivals of well-known Russian experts and journalists Maxim Shevchenko and Mychail Leontyev to Transnistria, the oppositional activity of ‘Proriv!’, which announced about the necessity of changes in the state, he was stripped of the rank ‘Honorary fellow of the Ministry of Secret Service’. Dmitriy Soin called this situation ‘tragicomic’ because he has been on a pension for 5 years and to strip of ranks because of the oppositional activity is improperly even for African despotisms. After this shameful event Dmitriy Soin took the matter to court, opposing to the president’s decree. But the session was held and the judgment was delivered in his absence as he received the notice of appointment some days later. 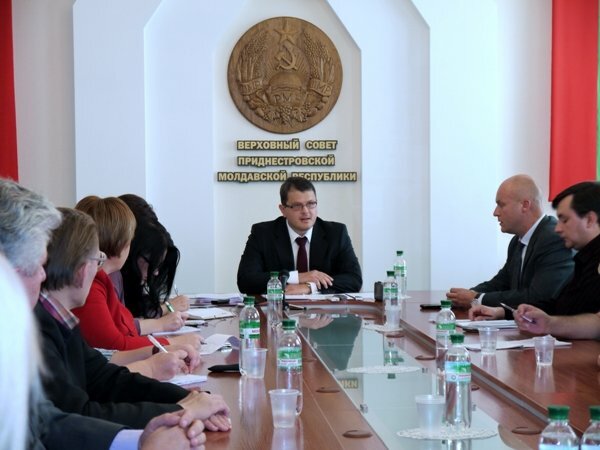 All the complaints were not honored and Dmitriy Soin came to the conclusion that independent judicial authority didn’t exist in Transnistria. Dmitriy Soin is being regularly blamed for a luxurious lifestyle that is why while answering journalists’ questions he showed documents on his one-storey house, explained that he had been paid the credit for his car for 2 years. He also mentioned that the equipment of his press had been made in 70-80-s. While speaking about the incident on October 24, 1994 Dmitriy Soin noted that he really had used the arms and had shot at a man who had attacked his colleague and him threatening officers by mortal danger. The action was brought against him but then the case was dismissed because it was solved Dmitriy Soin had been entitled to do it as an officer being menaced by a criminal. And now some people are addressing the Prosecutor General’s office with a demand to review the judgment. Dmitriy Soin has fulfilled his official duties for long years, has been decorated by awards and medals, but as far as he announced his course for changes he became persecuted. ‘But the oppositional thinking is not the reason to start hysteria and political persecutions’, - Dmitriy Soin said. Furthermore the deputy and the leader of the Democratic Party ‘Proriv!’ expressed his apprehensions about life of his relatives and his own fate. He insisted that he had already obtained some references on the threat of force. And he officially announced that in the case of the accident all the responsibility would rest with the incumbent president Igor Smirnov and his team. If the persecution continues the next press-conference will be held in Russia. In addition to this, all letters and applications will be put in Russian bodies and authorities: public Prosecutor’s office, committee of inquiry and courts.